While in Seattle, one of the places to visit. Every time. Just walk through. Don’t have to do anything else. If hungry, go down to Pier 56 Elliott’s Oyster House and have some oysters. 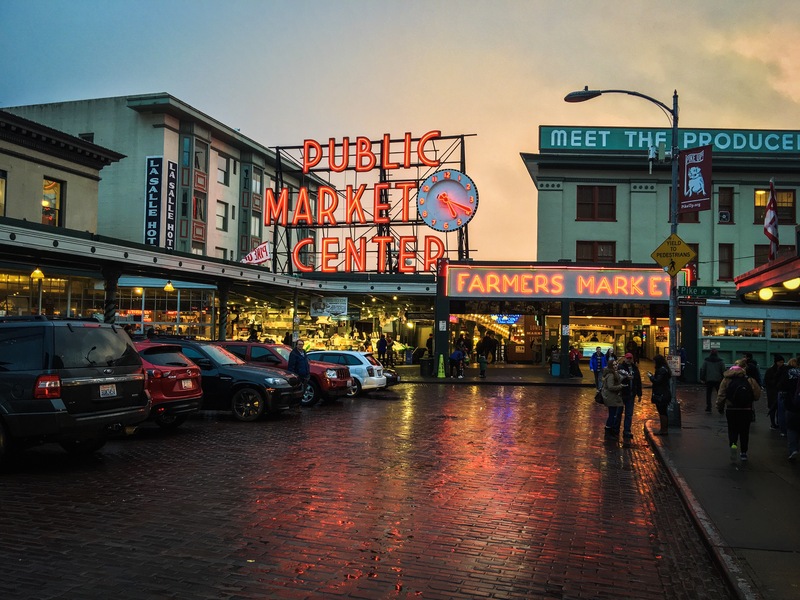 This entry was posted in Seattle, Washington and tagged Farmers Market, Public Market Center. Bookmark the permalink. It also has something fascinating to a Brit: a cricket club with a website that has an excellent explanation of the rules of (limited-over) cricket aimed at people used to baseball!